Alexandra is an IT Project Portfolio Manager at Commerzbank’s DLT lab with an extensive international experience in Finance and IT. So far she has coordinated IT projects in the UK, Luxembourg, France, Italy and Spain. In the USA, Alexandra has implemented new payments systems for the Latin American subsidiaries of a famous DAX-30 corporation. 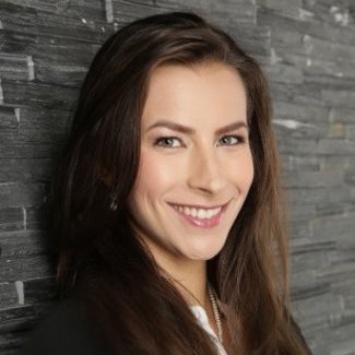 Alexandra began her academical career with a Bachelor of Science degree in Finance at the University of Bayreuth and also holds an Executive MBA diploma with a focus on the crypto market from the Frankfurt School of Finance and Management. - How involved will banks be in the short and medium term?